Sonar or ultrasonic sensing uses the propagation of acoustic energy at higher frequencies than normal hearing to extract information from the environment. This chapter presents the fundamentals and physics of sonar sensing for object localization, landmark measurement and classification in robotics applications. The source of sonar artifacts is explained and how they can be dealt with. Different ultrasonic transducer technologies are outlined with their main characteristics highlighted. Sonar systems are described that range in sophistication from low-cost threshold-based ranging modules to multitransducer multipulse configurations with associated signal processing requirements capable of accurate range and bearing measurement, interference rejection, motion compensation, and target classification. Continuous-transmission frequency-modulated (CTFM) systems are introduced and their ability to improve target sensitivity in the presence of noise is discussed. Various sonar ring designs that provide rapid surrounding environmental coverage are described in conjunction with mapping results. Finally the chapter ends with a discussion of biomimetic sonar, which draws inspiration from animals such as bats and dolphins. The Antwerp biomimetic bat-head sonar system consists of a single emitter and two receivers. The receivers are constructed by inserting a small omnidirectional microphone in the ear canal of a plastic replica of the outer ear of the bat Phyllostomus discolor. Using the head-related transfer (HRTF) cues, the system is able to localize multiple reflectors in three dimensions based on a single emission. This video demonstrates the tracking of two balls serving as targets. 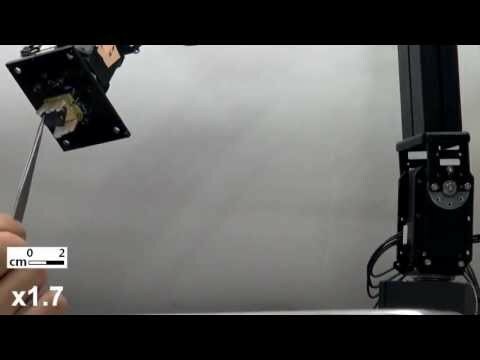 This video shows how the right amount of stiffness at joint level can be taught by human demonstration to allow the robot to strike a match. The robot starts with high stiffness. This leads the robot to break the match. By tapping gently on the joint that requires a decrease in stiffness, the teacher can convey the need for stiffness to decrease. The tapping is recorded using the force sensors available in each joint of the KUKA Light Weight Robot 4++ used for this purpose. Reference: K. Kronander,A. Billard: Learning compliant manipulation through kinesthetic and tactile human-robot interaction, IEEE Trans. Haptics 7(3), 367-380 (2013); doi: 10.1109/TOH.2013.54 . Nature is filled with examples of autonomous creatures capable of dealing with the diversity, unpredictability, and rapidly changing conditions of the real world. Such creatures must make decisions and take actions based on incomplete perception, time constraints, limited knowledge about the world, cognition, reasoning and physical capabilities, in uncontrolled conditions and with very limited cues about the intent of others. Consequently, one way of evaluating intelligence is based on the creature’s ability to make the most of what it has available to handle the complexities of the real world. The main objective of this chapter is to explain behavior-based systems and their use in autonomous control problems and applications. The chapter is organized as follows. Section 13.1 overviews robot control, introducing behavior-based systems in relation to other established approaches to robot control. Section 13.2 follows by outlining the basic principles of behavior-based systems that make them distinct from other types of robot control architectures. The concept of basis behaviors, the means of modularizing behavior-based systems, is presented in Sect. 13.3. Section 13.4 describes how behaviors are used as building blocks for creating representations for use by behavior-based systems, enabling the robot to reason about the world and about itself in that world. Section 13.5 presents several different classes of learning methods for behavior-based systems, validated on single-robot and multirobot systems. Section 13.6 provides an overview of various robotics problems and application domains that have successfully been addressed or are currently being studied with behavior-based control. Finally, Sect. 13.7 concludes the chapter. 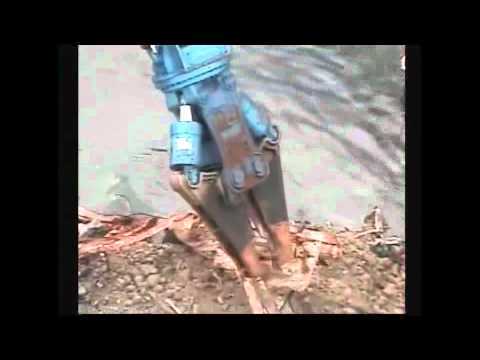 The effectivness of active damping control is shown in a writing task performed by the DLR Hand Arm System. A brief clip showing actual operation of a remote-control cutting equipment for dismantling the roof structure at one of the three ruined reactor buildings at the Fukushima Daiichi power plant. In this video, we present a novel controller for safe, efficient, and intuitive robot-to-human object handovers. The controller enables a robot to mimic human behavior by actively regulating the applied grip force according to the measured load force during a handover. We provide an implementation of the controller on a Willow Garage PR2 robot, demonstrating the feasibility of realizing our design on robots with basic sensor/actuator capabilities. 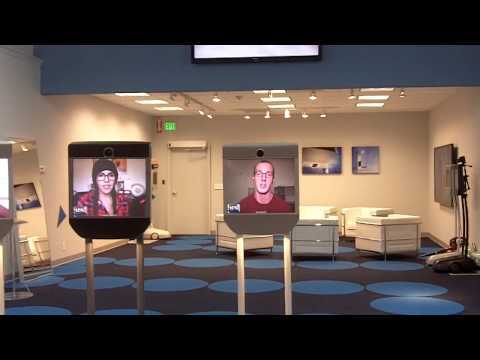 Beam's new Palo Alto store lets telepresence robots sell themselves. Literally. Video shows telepresence robot Beam selling itself without any human staff in Suitable Technologies' Palo Alto Beam store. The field of rehabilitation robotics considers robotic systems that 1) provide therapy for persons seeking to recover their physical, social, communication, or cognitive function, and/or that 2) assist persons who have a chronic disability to accomplish activities of daily living. This chapter will discuss these two main domains and provide descriptions of the major achievements of the field over its short history and chart out the challenges to come. Specifically, after providing background information on demographics (Sect. 64.1.2) and history (Sect. 64.1.3) of the field, Sect. 64.2 describes physical therapy and exercise training robots, and Sect. 64.3 describes robotic aids for people with disabilities. Section 64.4 then presents recent advances in smart prostheses and orthoses that are related to rehabilitation robotics. Finally, Sect. 64.5 provides an overview of recent work in diagnosis and monitoring for rehabilitation as well as other health-care issues. The reader is referred to Chap. 73 for cognitive rehabilitation robotics and to Chap. 65 for robotic smart home technologies, which are often considered assistive technologies for persons with disabilities. At the conclusion of the present chapter, the reader will be familiar with the history of rehabilitation robotics and its primary accomplishments, and will understand the challenges the field may face in the future as it seeks to improve health care and the well being of persons with disabilities. The 6-DOF MIME robot assisting the left arm in unilateral and bimanual modes. In the unilateral mode, the robot provides end-point tunnel guidance toward the target. In bimanual mode, movement of the right arm is measured with a 6-DOF digitizer, and the robot assists the left arm in performing mirror-image movements. Throughout the history of robotics research, nature has been providing numerous ideas and inspirations to robotics engineers. Small insect-like robots, for example, usually make use of reflexive behaviors to avoid obstacles during locomotion, whereas large bipedal robots are designed to control complex human-like leg for climbing up and down stairs. While providing an overview of bio-inspired robotics, this chapter particularly focus on research which aims to employ robotics systems and technologies for our deeper understanding of biological systems. Unlike most of the other robotics research where researchers attempt to develop robotic applications, these types of bio-inspired robots are generally developed to test unsolved hypotheses in biological sciences. Through close collaborations between biologists and roboticists, bio-inspired robotics research contributes not only to elucidating challenging questions in nature but also to developing novel technologies for robotics applications. In this chapter, we first provide a brief historical background of this research area and then an overview of ongoing research methodologies. A few representative case studies will detail the successful instances in which robotics technologies help identifying biological hypotheses. And finally we discuss challenges and perspectives in the field. Biologically inspired robotics (or bio-inspired robotics in short) is a very broad research area because almost all robotic systems are, in one way or the other, inspired from biological systems. Therefore, there is no clear distinction between bio-inspired robots and the others, and there is no commonly agreed definition [75.1]. For example, legged robots that walk, hop, and run are usually regarded as bio-inspired robots because many biological systems rely on legged locomotion for their survival. On the other hand, many robotics researchers implement biologicalmodels ofmotion control and navigation onto wheeled platforms, which could also be regarded as bio-inspired robots [75.2]. This video presents dynamic-rolling locomotion of a worm-like robot GoQBot. Unlike the other conventional soft robots that are capable of only slow motions, this platform exhibits fast locomotion by exploiting the flexible deformation of the body as inspired from nature.